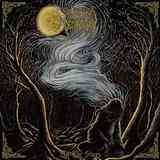 It is hard for me to argue with the fact that Australian Woods of Desolation has developed into one of the premier atmospheric black metal bands from the Land Down Under. A pair of strong releases culminated with one of my Surprises of the Year back in 2011, Torn Beyond Reason, the album I still often go to and get a good dose of enjoyment sinking into. Thus, fair or not, it is difficult for me to appreciate the next album from Woods of Desolation, As the Stars, without comparing it with the predecessor. And several listens into As the Stars, I have to say I am still a devoted Torn Beyond Reason fan, while the love for the new creation is not there yet. It is hard for me to explain why, but as much as the spirit of Woods of Desolation music has not changed from one album to another, and on the surface a lot of elements in their music continue on, as much as Torn Beyond Reason clicked with me immediately, I struggled through As the Stars several times to no avail. I wish I could put my finger on the exact reason why, but as much as music perception is subjective I simply cannot do that. Woods of Desolation are still putting up an impenetrable wall of guitars, which, when you sum up all that tremolo, gives you a feeling of euphoria. I can still marvel that the band can navigate major tonalities when the minor-tinged music is the rule of the land for most metal bands. Surrounded by all that pretty much non-stop musical density Alcest references clearly come to mind, and if on Torn Beyond Reason it was sporadic, As the Stars breathe Souvenirs d’un Autre Monde. Could it be that the seeming loss of individuality by Woods of Desolation is what is hampering me now? Unique or not, I did not have trouble with referential aspects in Woods of Desolation music before. It can’t be the vocals either, since they are the same very high processed cathartic screams struggling for high frequencies in this wall of sound. Can it be the drums, which are a little less audible, thus losing the sense of steady rolling rhythms? Or is it the rather drastic change in the tone of Woods of Desolation guitars? If on Torn Beyond Reason they projected gentle warmth, then on As the Stars they grate unrelentingly. I get it now, yes, it is this harsh guitar approach which was the biggest turnoff for me. And when this grate continued over and over, with brief breaks for a quick song intro, my mind simply got tired and I was mentally checked out from As the Stars letting it play beside me rather than be embraced by it. There was no warm veil effect this time around, only cold and against the grain drag down my back. The songs on As the Stars blend into one another, but so they did on Torn Beyond Reason, yet those easy to pick melodies were truly uplifting on Torn Beyond Reason, while on As the Stars they lack movement and seem to be stuck in place. My opinion, of course, is one of many, so I welcome those readers who generally agree with my tastes and liked Woods of Desolation before to compare notes. Perhaps a few months from now I will pick this album and be ensnared by it, but for now I see no magic. I certainly was not heartened or inspired by what I hear at this moment.